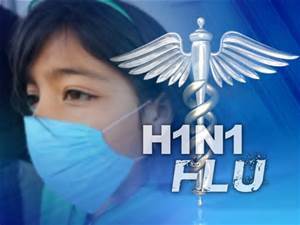 The swine flu menace is back in the country with over 6000 people testing positive for the virus across nine different states. Every day the papers and internet are full of swine flu numbers from across the country which makes people wondering what the symptoms are, how it can be treated and why it’s dangerous. The swine flu menace is back in the country with over 6000 people testing positive for the virus across nine different states. Every day the papers and internet are full of swine flu numbers from across the country which makes people wondering what the symptoms are, how it can be treated and why it’s dangerous. Read more about causes, symptoms, diagnosis, and treatment of swine flu. #1 Swine flu or H1N1 type A influenza is transmitted from people and NOT from pigs or swine. Here’s how you can prevent the spread of H1N1. #2 If you have normal immunity, you may not be prone to swine flu. #3 People who are at high-risk include very young children, pregnant women, diabetics, people with heart conditions and those whose immune systems may be weak and compromised. #4 Sudden fever of more than 100 degrees Fahrenheit, fatigue, chills, headaches, cough and sneezing, sore throat, diarrhea, loss of appetite are some of the symptoms of swine flu. Read more about symptoms of swine flu. #5 One cannot exactly know that he/she is suffering from swine flu because the symptoms are very similar to regular flu. If you have a very high fever for more than a day or two, sudden breathlessness, you should contact your doctor immediately. Here’s how India prepares to tackle another epidemic. #6 If you already have a fever, it’s better to stay at home in order to prevent the disease from spreading. Always cover your face while coughing and sneezing. Avoid touching your face, nose, and eyes often. It can also spread through inanimate objects like the mobile phone, laptop etc. which we end up frequently using. So, it’s better to avoid using others’ belongings. In case of a sore throat, gargle with warm salt water. #7 It is possible to prevent swine flu. Maintain your health and immunity well. Eat healthy food, get good sleep, avoid stress. Avoid visiting crowded public places if you can. If you do visit them, wash your hands and feet well. Better still, just take a shower. #8 Though injectable vaccines (Influvac, Agrippal, Vaxigrip, Vaxiflu-S and Fluarix) against swine flu are available, the Government has ruled out universal vaccination for now and has recommended that it be used only for people who are actively treating the swine flu patients (doctors and other medical practitioners). Read about why the swine flu situation in India is bad. #9 Swine flu can only be diagnosed for sure in labs. It is diagnosed by identifying the particular antigens associated with the virus type. In general, this test is done in a specialized laboratory and is not done by many doctors’ offices or hospital laboratories. However, doctors’ offices are able to send specimens to specialized laboratories if necessary. #10 There are certain antiviral drugs which help treat swine flu – Zanamivir (Relenza) and Oseltamivir (Tamiflu).One should take these only with a doctor’s prescription since indiscriminate use could lead to resistance to the virus. The patient will need to hospitalized, isolated and put on a ventilator in severe cases.